There’s no better feeling than teaching someone something new. Kayaking itself is something special, but giving someone the encouragement, whether older or younger, to kayak for the first time is so exciting! You’re never too old to try something new, don’t forget that. Kayaking is a special sport or activity. Maybe it’s the peacefulness of it all. Is it looking out at the beautiful blue water? Is it the smell of the crisp clean ocean air? Or maybe it’s the excitement of what’s to come. It’s an adventure, and for many it’s a new adventure! There’s anticipation of where you’ll go, what you’ll see. Being out on the water brings a whole new perspective, peace, wonder, bewilderment. 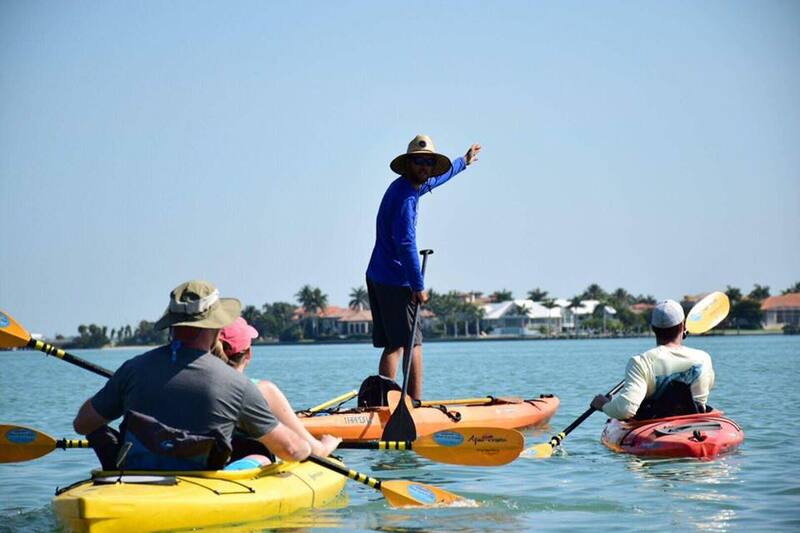 There’s so much to learn about on our kayak tours. Sarasota is home to so many different types of wildlife. We see many bottle nosed dolphins while we’re out. They love to call our area home. 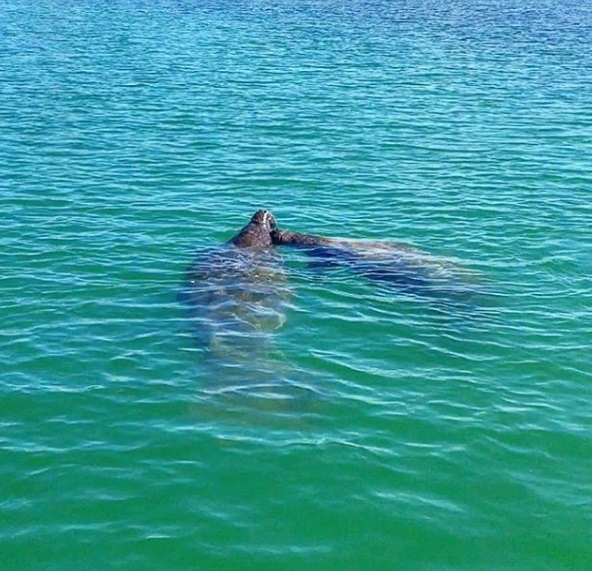 We also see manatees. This area is perfect for them due to the shallow grassy waters. There’s plenty for them to feed on. We see sea stars and jellies. There are many different types of fish and we also see turtles. There are so many birds between eagles and hawks, egrets and pelicans, herons and osprey, you have to keep your eyes open, there’s always something to see! When we dip into the exotic mangrove tunnel, it’s a whole other adventure. It’s quiet but for the sounds of the crabs on the mangroves, and our paddles hitting the water of course. It’s shady and cool in there too. 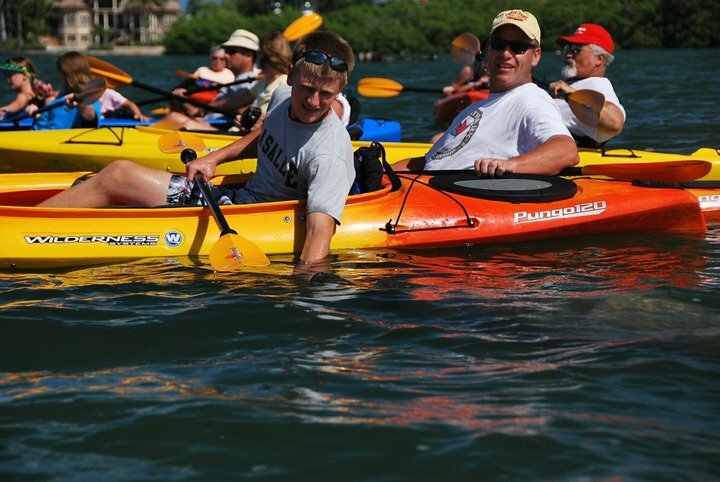 The Sarasota Kayak Tour is perfect for all ages and no experience is required. We love what we do and it shows in our fantastic tours by our expert guides. 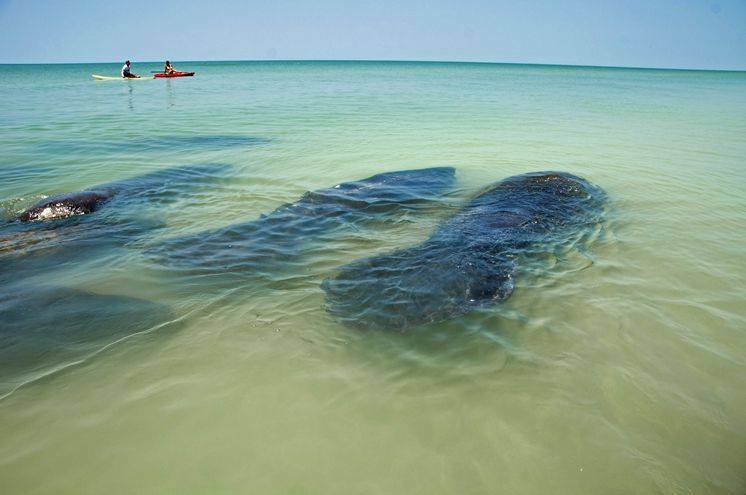 Your kayak tour will get you up close and personal with dolphins, manatees, exotic birds, and other wildlife. Bring your camera and your friends! Don’t wait, book your tour today! Spring Break is here! 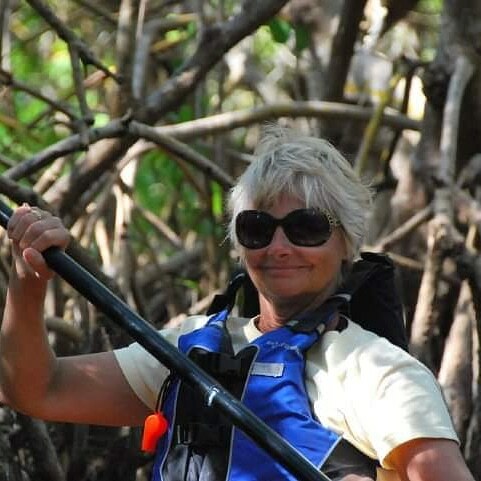 Now is the perfect time to spend some time in paradise with the Original Adventure Kayak Outfitters. And Lido Key, just off of Siesta Key is truly paradise, so gather your friends, and get together for a day of fun on the water! We offer both kayak rentals and eco kayak tours, so whether you want to venture off on your own, or have a guided tour, the choice is yours. We even deliver to you free! With either one, you only need to book in advance. And when you do, if you’re booking a tour, you save $5.00 when booking online! Plus, we NEVER charge booking fees, so it’s a win-win! 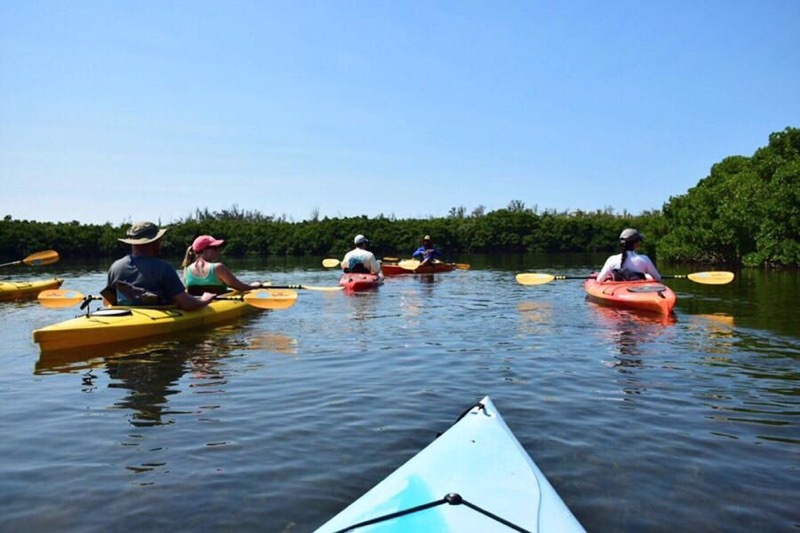 Kayaking is a great way to get away from the beach and check out one of our area’s hidden gems, the exotic mangrove tunnels. While kayaking the mangrove tunnels, you will see different types of mangroves, learn about their contribution to our unique ecosystem, and how they help to preserve the mainland. The mangroves provide a shady retreat during the leisurely little trip through them. The water is so clear you will see fish swimming beneath you, there will be tons of fiddler crabs climbing the mangroves, and perhaps you’ll even see a sea star or two. Once you exit the mangroves, you have the chance to encounter so much more ocean life. On your kayak tour you could encounter dolphins playing in the bay. They are always a joy to see! 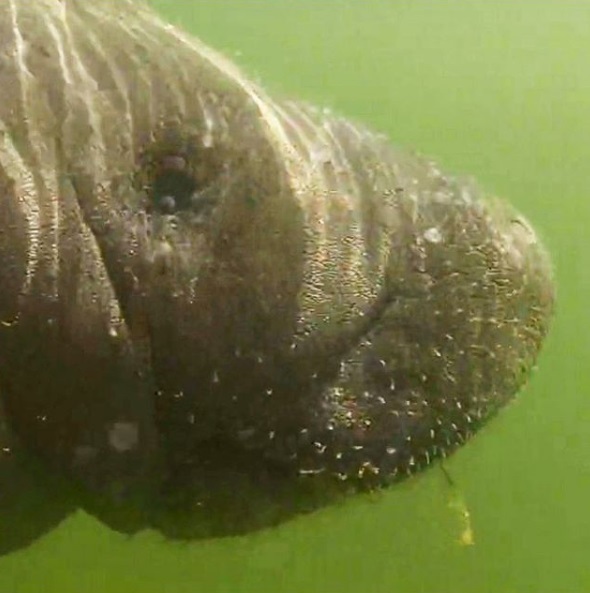 We could also see some manatee’s lounging around. There are usually plenty of snook and mullet jumping about. 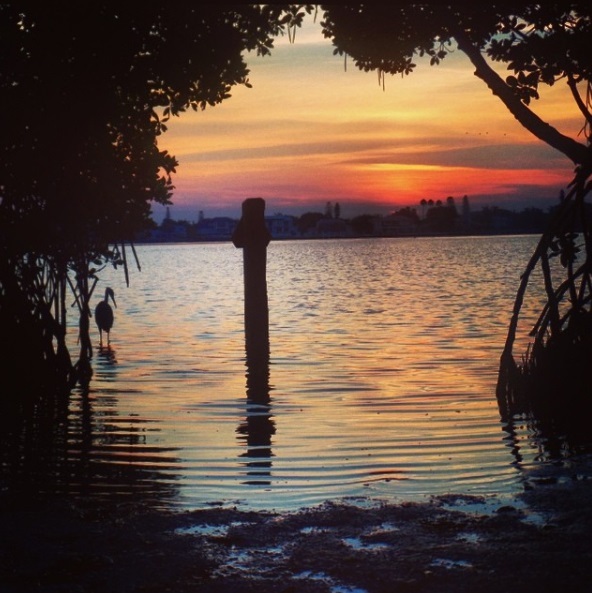 Native birds are pretty abundant, they love fishing in the Sarasota Bay. We typically see pelicans, egrets, osprey, and even bald eagles. Of course we can’t guarantee that you will see each of these, but our expert guides will point them out for you along the way!